The past week marked a big moment for Rootdown. Both us (Sarah, Gavin and myself), and our Salad mix, got to attend the Pemberton “Outstanding in the Field” fine dining evening event. 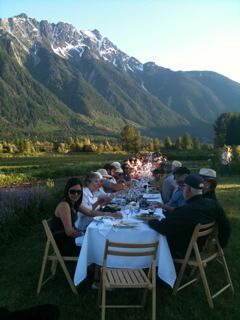 Chef James, and his team from Araxi Restaurant in whistler, prepared an exquisite dinner for 150 guests that was hosted at North Arm Farm. Most certainly, the dishes that were consumed were some of the finest dishes that I have ever tasted, and a welcomed treat from the dinner of salad and popcorn that I usually eat after working at the farm all day. As I savoured the wonderful dishes, including melt-in-your-mouth beef croquets, I wondered to myself how lucky we were to take part of such an event…And I recognized that the whole reason for this privilege was mostly due to our Salad Mix. So to honour our “featured” Salad Mix, I thought I would perhaps provide some insight into this item that has brought us a hint of fame (if only for one evening). First of all, the seeds of up to five different Asian greens and four different types of lettuces are put in the soil-this is the relatively easy and low maintenance part. Greens are chosen for a variety of flavour, colour and shape. In the early part of the season, the beds are then covered with a floating row cover to keep pests out, and the heat in. 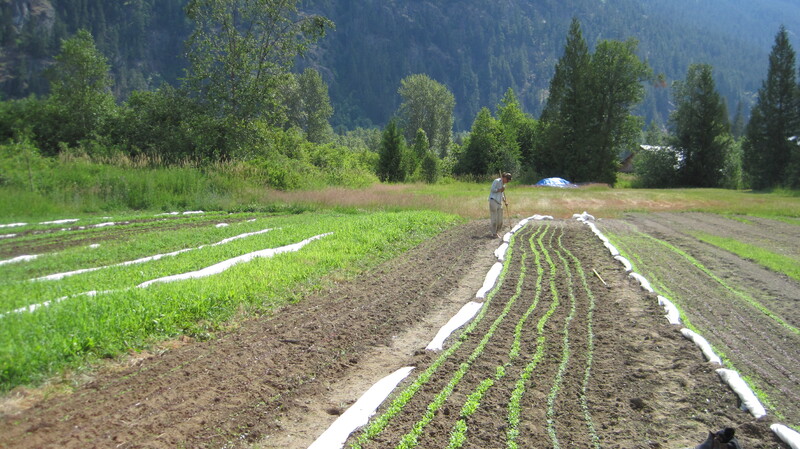 The first seed leaves are quick to sprout, but then the real work begins for us; continual weed management by hoeing or direct pulling by hand. The cool and wet spring this year resulted in some particularly challenging weed pressure that we were unable to keep on top of. This meant that after harvesting, and washing, we were also required to spend numerous hours hand-sorting the weeds out. (Countless hours at this task ensured that we were able to catch all of Sarah’s favorite CBC programing). The greens are then dried using an improvised large salad-spinner; the spin cycle of an otherwise broken laundry machine. 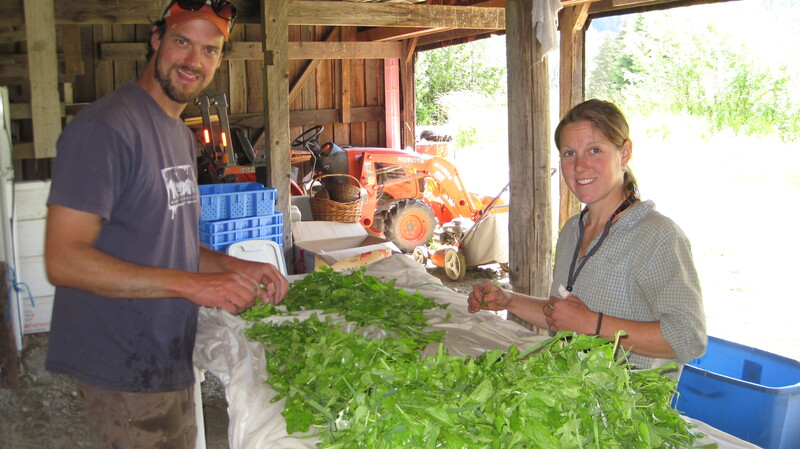 This careful process of weeding, harvesting, washing, sorting, drying definitely makes our Salad Mix the most high maintenance crop we grow, and sometimes we wonder if we even want to know what our hourly wage would be if we worked it out. 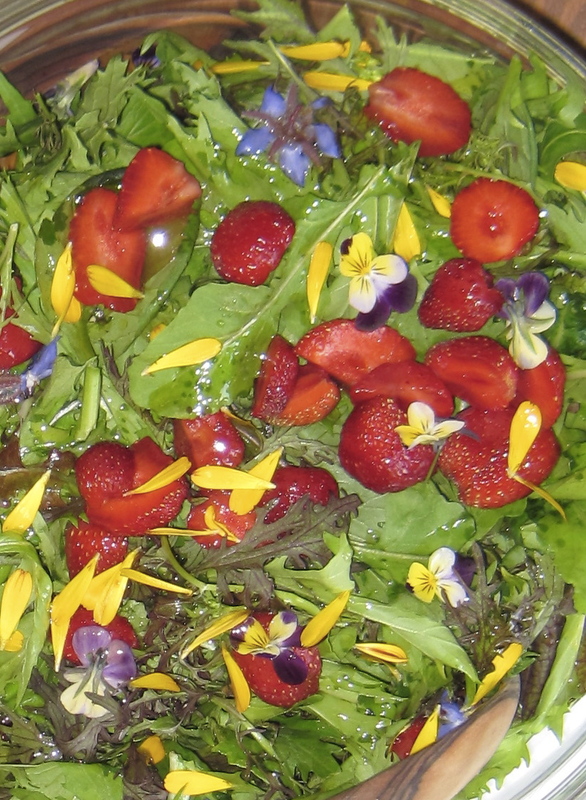 Despite the effort, the beauty of this Salad mix is something we are all proud of, weather part of our simple farm lunches, or featured at an evening of fine dining atop a white tablecloth.